This gives a semi-permanent shade that will last up to 12-15 washes, depending on your hair history. Rainbow hair with 3 colour tubes! Rainbow hair, just don’t care? Make waves in three bold shades of aqua, or opt for a pastel shade by mixing with the in-pack conditioner or our NEW Pastel It! conditioner. Love this colour. I've washed my hair three times since applying and it hasn't washed out so loving it. Response from Schwarzkopf LIVE: Beautiful shade, Jasmine! Thanks for the great feedback. These are so beautiful, and it is so much more practical to get this than to buy the tubes of colour separately! I will say, obviously, they wash out quickly. But the colours themselves are beautiful. A personal favourite, especially when you are able to either pastel the colours or leave super bright! Excellent product! 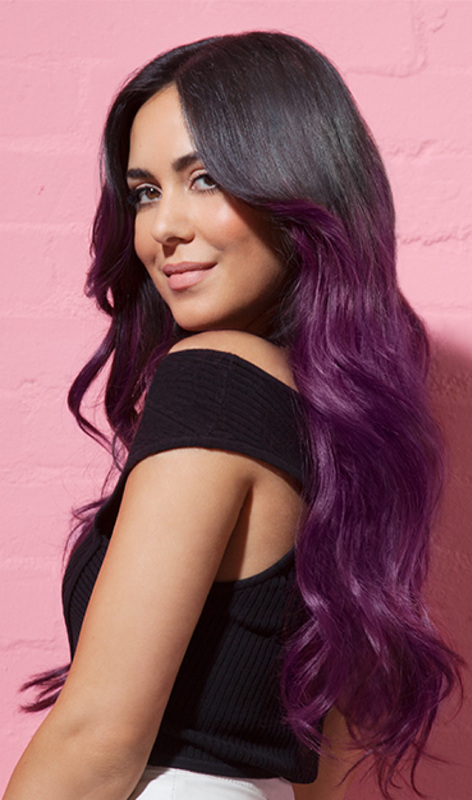 This product worked great, however the purple is nothing as advertised. In fact it went magenta on my hair. My colour before hand was a white blond and was the recommended shade for this product. This product is great however the shades are off from the photos provided. I bought two boxes to make sure I had enough to do all my hair. Unfortunately this still wasn't enough as I wasn't able to do a full coverage with these colours. I ended up buying another box of Electric blue and doing a full cover of that instead. Considering my hair is jaw length I was quite dissapointed. I don't think I will be buying this collection again and will instead stick to full covers.